A+ Limestone is designed around the use of the highest quality limestone available in Perth. We offer a lifetime guarantee on our workmanship and as such we have the highest standards when choosing what products we work with. We’ve aligned ourselves with BGC for the provision of our limestone blocks. 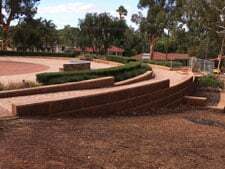 As the leading Australian supplier of limestone, BGC consistently deliver the highest quality within the Perth limestone market. When considering your options, there are usually 3 main choices. A cement based option combined with natural limestone, reconstituted limestone blocks are an option for those looking to undertake mass retaining. Reconstituted limestone is a denser and heavier block, featuring above average adhesive properties. Regardless of being sealed, this type of block will sustain its original colour for longer compared to its pure natural counterpart. Natural Limestone can be a choice for those seeking a lighter looking block. Despite not being as dense or heavy as the reconstituted blocks, it is still very effective when looking to build your retaining walls. When using natural limestone blocks, it’s imperative that they are correctly sealed, otherwise the blocks may sustain mould build up, and lose their colour in areas where water and shade are prevalent. 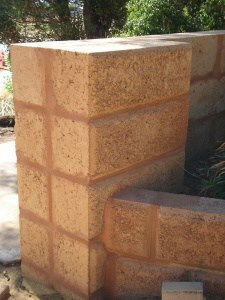 Natural earth blocks are created utilising resources obtained from the Perth Hills. As the heaviest of these three options, natural earth blocks offer effect of your retaining wall blending into natural surroundings, offering an overall natural look and feel. These blocks are a great option for anyone looking to achieve an eye catching finish with a functional structure.